Featuring 6th Gen Intel Celeron processors and support for up to 8 GB of high speed DDR3L RAM, you can get the memory you need to stream media, edit photos, or create projects. With 4 USB 3.0 ports, you can use a USB keyboard, mouse, and camera and still have room to charge your devices. 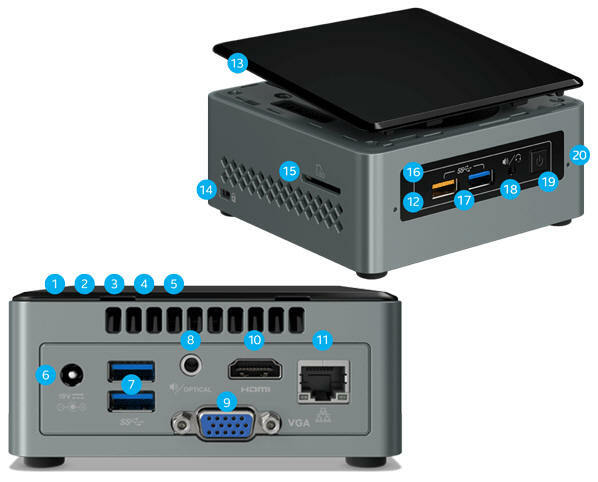 Discover what the latest Celeron based NUCs can do. Equipped with 5th and 6th Generation IntelÂ® Coreâ„¢ Celeron processors and IntelÂ® HD Graphics, Celeron NUCs offer the perfect balance of price and performance whether you need a home comCputer or a form-factor device to showcase menus and digital signage in stunning 4K. 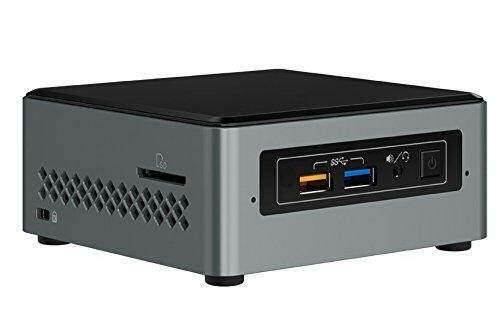 Get the most out of your Celeron based NUC with up to 8GB of DDR3L high-speed RAM and special features including built-in dual array microphones supporting Windows 10 Cortana (NUC6C only), HD audio, Bluetooth 4.0 or 4.2, 7.1 surround sound, and 2.5â€� SSD, Hybrid SSHD, or HDD storage with up to 2TB of capacity.